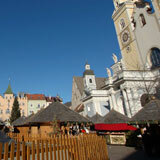 Cultural, musical and sports events in Bolzano and South Tyrol. Theater, music and museums. 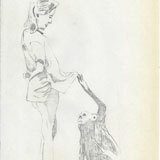 The exhibition by Sven Sachsalber gathers together a body of recent works that employ and engage with the format of the book in a variety of attitudes and approaches. Exhibition in the Gallery Museum. Architects Parasite 2.0 have for years been conducting research that explores the region between wilderness and human habitats. In this way they produce a semantic field where diverse phenomena converge: the internet as a contemporary ecosystem, Biblical deserts, the remnants of modernity and the Temporary Autonomous Zones theorised by Hakim Bey. Films with a local connection and films which are rarely shown in commercial cinemas. This very special event in South Tyrol which is open to individual athletes as well as teams and involves three very exacting sports disciplines, mountain biking, running and ski tour: Ötzi Alpine Marathon. 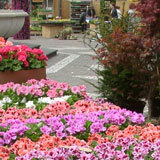 The traditional Flower Market is the spring highlights in Bolzano at the Walther-Platz square. The town becomes a sea of flowers and blossoms. The town's nurseries and garden centres transform the Walther-Platz square into a sea of colours wafting a myriad fragrances, with a full supporting programme. 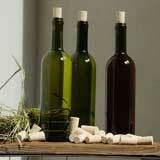 Wineries along the South Tyrolean Wine Route open their cellars to oenophiles. With a full supporting programme. A shuttle bus takes zou from cellar to cellar between 5pm and midnight. Jazz Festival in Bolzano, Brunico, Vipiteno and Bressanone. 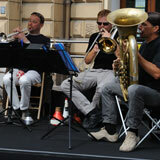 The stars of world jazz play in the streets, the squares, in medieval castles and in modern theatres. 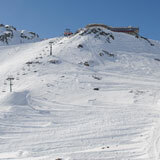 Ten days full of emotions in the heart of the Alps. One more UCI MTB Mountainbike Marathon in Alta Pusteria/Hochpustertal (Italy), the Südtirol Dolomiti Superbike. Bolzano Summer Festival of Dance is a vibrant meeting place for the presentation and production of modern dance forms. Two weeks of beautiful performances with international dance companies and numerous stages for beginners and experts with important teachers and choreographs. 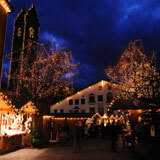 Magie d'avvento nel centro storico di Bolzano con circa 80 espositori in Bolzano and the traditional appointment of advent: the Christmas Market Bolzano with all the typical atmosphere of the preparation of Christmas. The scents of the wine and the christmas pastry shop are stirred to the sounds of christmas music in an indeed only concert. Precious moments of privacy, solemn moments of meditation during the christmas concerts of breaths and choruses, in the churches or on the Walks along the Passirio river. Many ideas for the Christmas, from christmas decorations, to the slippers in cooked wool, the ceramics, the stoffe traditional, the statuette in wood, the toys and the typical pastry shop at the Christmas Market Merano. One of the animated and rich moments of atmosphere of all the year. 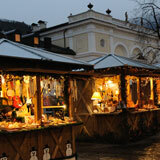 Numerous stands propose more typical and original products of the South Tyrol tradition at the Christmas Market Bressanone: many christmas objects and ideas gift. 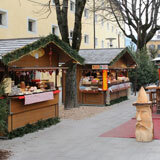 The most characteristic handicraft products and confectionery specialties for all the tastes at the Christmas Market Brunico. The "pearl of the Val Pusteria" is the ideal in order to conciliate the fun on the tracks of skis with walks between the charming medieval houses of the Way Centers of Brunico. In the historical center, coffer of artistic and cultural treasures of the Middle Ages, as well as one long mining tradition testified from one special extension. The imposing Tower of the Twelve, that surpasses the main public square, is the background of the Christmas Market Vipiteno. 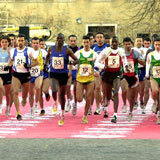 Street running race with international athletes. At the international New Year's Eve running world champions, Olympic champions and European champions compete on the circuit through the old town of Bolzano.